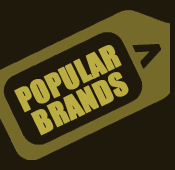 Please read these Terms & Conditions carefully before making a purchase with us. Once a course booking form has been completed in writing or via the course buying pages the persons named on the booking form ("the client(s)") will have entered a binding contract on the basis of these Terms & Conditions. If you have any queries regarding your binding contract, please contact us. Agreement on the basis these Terms & Conditions arise upon the fulfillment of all of the following: receipt by Tamarack Outdoors of a properly completed booking form accompanied by the payment specified. Tamarack Outdoors reserves the right, in its absolute discretion and without the need to give reasons, to refuse to accept a booking. 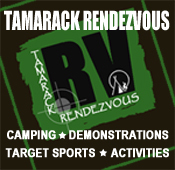 In such circumstances no agreement arises and Tamarack Outdoors will return any payment accompanying the booking. The agreement is between Tamarack Outdoors and the client(s) and is the sole agreement between those parties. No variation of these Terms & Conditions shall be applicable unless agreed in writing by Tamarack Outdoors before the relevant course. Full payment is required for all courses prior to the course date. Whilst every effort is made to limit prices to those given in the booking, Tamarack Outdoors reserves the right to alter prices should its costs in hosting a course increase for reasons beyond its reasonable control (including, without limitation, the cost of labour, transport and materials). - Cancellation more than 4 weeks before the course: 100% refunded. - Cancellation less than 4 weeks before the course: 100% of fee payable i.e. no refund. The client acknowledges that it is reasonable for such penalties to arise, given the need for Tamarack Outdoors to make preparations for a course substantially in advance of the course. Should a customer wish to change the dates of their course, where there is a place available, an administration fee of £25.00 will be charged to transfer. Please note Tamarack Outdoors will not be able to transfer a booking if the course is due to start in less than 4 weeks. A Tamarack Outdoors course is, by its very nature, exposed to natural variables, including the weather. Whilst every reasonable effort is made to deal with (indeed to learn from) such contingencies there may be occasions when Tamarack Outdoors, through no fault of its own, is forced to vary or modify a course itinerary at short notice or decides to do so in order to take advantage of natural circumstances. The client acknowledges that information about courses provided by Tamarack Outdoors is given in the best of faith but that because of the variability of nature it may be reasonable to alter or modify a course and that in such circumstances it is not reasonable for Tamarack Outdoors to be liable for any losses consequential on such a change and that Tamaracks liability is limited accordingly. The client acknowledges that during a Tamarack Outdoors course he / she is required to submit to the reasonable instructions and leadership of the course leader, save that parents, teachers and those in comparable roles in respect of children must maintain control of those children, to the satisfaction of the leader and Tamarack Outdoors. The client acknowledges that persons attending a Tamarack Outdoors course are entitled to expect a high standard of conduct and regard for personal well being on the part of all clients. For this reason the client accepts that Tamarack Outdoors may, in its absolute discretion and without the need to give reasons, arrange for him / her to be removed from a course, if necessary against his / her will. Circumstances in which this might occur include (without limitation) disorderly or abusive conduct; intoxication; failure of control over children; inadequacy of clothing or equipment; incapacity or inability to meet the rigours of the course. In such circumstances the client will not be entitled to a refund of monies and Tamarack Outdoors will not be liable for any losses so resulting. The client will on demand reimburse Tamarack Outdoors its reasonable costs of effecting his / her removal. Tamarack Outdoors courses take place in the open countryside and are by their very nature not absolutely free from hazard. Tamarack Outdoors makes every effort to minimise risk to clients and instructs clients in the safe negotiation of such risk as may remain. Consequently, the client acknowledges that there are circumstances in which an accident could befall a client without Tamarack Outdoors being at fault and accepts that to that extent he / she is taking part in a Tamarack Outdoors course at his / her own risk. Tamarack Outdoors only accepts liability for physical injury to a client that is shown to result from negligence on the part of Tamarack Outdoors. The client acknowledges that other loss, damage and expense (including, without limitation, loss of money, loss or damage to clothes and possessions, losses arising on the cancellation of a booking and the expenses of delay and harm caused other than by the negligence of Tamarack Outdoors) howsoever arising is not the responsibility of Tamarack Outdoors and that Tamarack Outdoors liability is hereby limited. In the unlikely event that a client has cause for complaint about a Tamarack Outdoors course, complaint should be made to a representative of Tamarack Outdoors during the event, in order that corrective action can, if necessary, be taken. The client acknowledges that it is unreasonable to take no action during a course but to complain later. However, should a problem not be resolved, complaint should be made in writing within 28 days. To the extent permitted by law Tamarack Outdoors will not be liable in respect of claims first intimated later than 28 days from the close of the relevant course. At the beginning of every Tamarack Outdoors course the client will be asked to complete either a consent for ( under 18’s only ) or a next of kin form. Both forms will include the details of a point of contact that can be raised in case of accident or injury to the client. It is the clients responsibility that the information given within the form is accurate and up to date. It is not intended that any instruction provided to any client(s) while on a course will in any way qualify that/those client(s) to instruct any third party & no warranty is made to that effect. Tamarack Outdoors hereby excludes any liability it might have to any third party in respect of any loss or damage suffered or incurred by that third party in its reliance on any skills taught by any client(s) on the basis of having attended any Tamarack course. 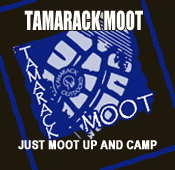 Tamarack Outdoors reserves the right to update the Terms & Conditions at any time, without notice.